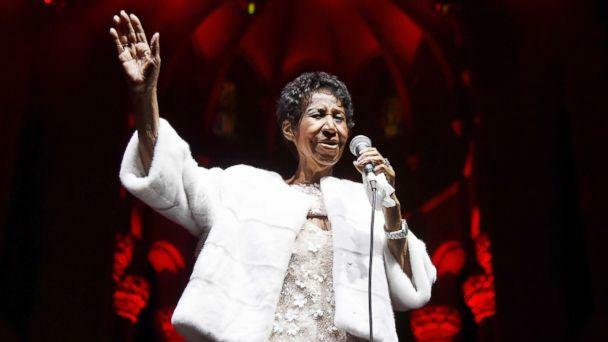 As the iconic Aretha Franklin reportedly battles an unknown illness, singers, actors, activists and politicians from all walks of life are wishing the singer well and keeping her in their prayers. According to the Associated Press, Franklin "is seriously ill," but no other details were provided. The soul singer and legend, 76, has influenced and entertained millions, including Jay Z and Beyonce, who dedicated their concert Monday night to Franklin. While the duo were performing at Ford Field in Franklin's hometown of Detroit, they told the singer "we love you" and thanked her for her "beautiful music," the Detroit Free Press reported. Other music icons like Rod Stewart and Mariah Carey also spoke up with well wishes, in addition to Bey and Jay. Even former President Bill Clinton wrote a lengthy note on Twitter, which read, "Like people all around the world, Hillary and I are thinking about Aretha Franklin tonight & listening to her music that has been such an important part of our lives the last 50 years. We hope you’ll lift her up by listening and sharing her songs that have meant the most to you."